#BESTNINE of 2017 Photos on Instagram! Home » BLOG POSTS » #BESTNINE of 2017 Photos on Instagram! #BESTNINE Instagram Posts from 2017! We would like to take the time to thank everyone who tagged us in their favorite gardening images from last year. 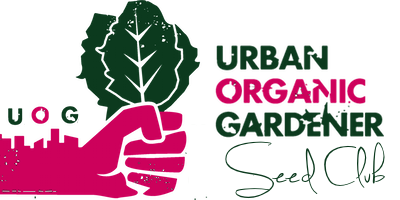 You've helped us form a unique community of "like-minded" people who enjoy organic gardening, eating healthy, living sustainably and MORE! Below are the #BESTNINE from our Instagram feed, at @seeds_now. If you're not already following these gardeners, be sure to click on their Instagram name to be taken directly to their page. Give them each a "like" and a "hello"! 2. image via @jessicafishes : If I'm not fishing, I'm gardening in Zone 9a. 5. image via @txmbirdie : Front porch lover. Organic food grower. Dog Momma of 6. Chicken hugger. Vegetarian. Dreamer of big dreams on our farm in East Texas. Check out our MEGA SEED BANK! 8. image via @growing.in.the.garden : Organic gardener in Arizona sharing garden inspiration & helpful tips for growing your own garden. 9. image via @sledging78 : My kids are my life! Urban Backyard Gardening - Melbourne, Australia. Don't forget to tag #seedsnow in all of your BEST gardening images for 2018 to be featured next!